We just happened to be given the back row then he tried to move us to the front and we said we kinda wanted the back and he was very cool about it he just said yeah that's absolutely fine and left it at that. 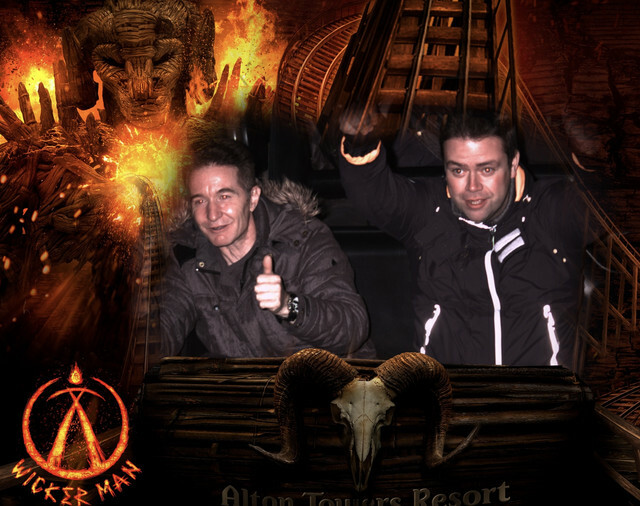 Just got back from the fireworks and got to ride the Wicker Man in the dark. All I can say is wow. I only wish Towers could find a way to get more late night openings just so more people can experience it. New No.1 at Towers for me. It’s brilliant at night, absoloutely amazing. Got our last ride of the season on it last night and I was batched with a TT and TS member some of you may know. It was great meeting and talking to you, I tried to find you after I’d regrouped my family to have a chat but you’d dissappeared into the night. Hope you don’t mind me posting this here, pressume it was your last ride of the season too so feel free to take it. Yes that's me on the left, I hope you don't mind, I've downloaded a copy of the pic to my laptop. It was great meeting you. It was a great weekend, The fireworks were amazing. It was a great end to the season. Don’t mind at all, I had hoped you’d like a copy when I put it up, last ride of the season and all. The fireworks blew us away, highlights for us were the “Greatest Show” “Wickerman” “The Power” and of course the finale. Operations yesterday were world class, we got on EVERYTHING except for Battle Galleons (our choice,) having arrived first thing. The park was extremely quiet until after 3pm. We got on Smiler and Oblivion twice. We got out of the firework area in around 10 minutes. We got out of the car park almost instantly. 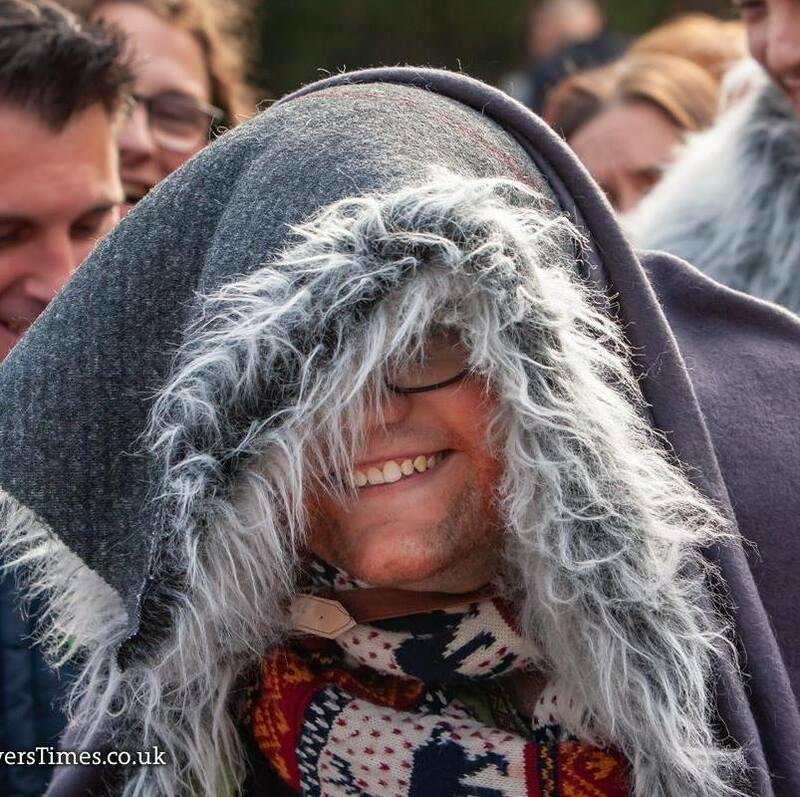 This evening, Alton Towers posted a short teaser video on their social media channels for 'Wicker Man Winter', asking if "you are ready to reignite with the chosen ones". Whilst it doesn't give much away, the tone of the post and the video seems to suggest that Wicker Man may potentially be opened at some point over the closed season. 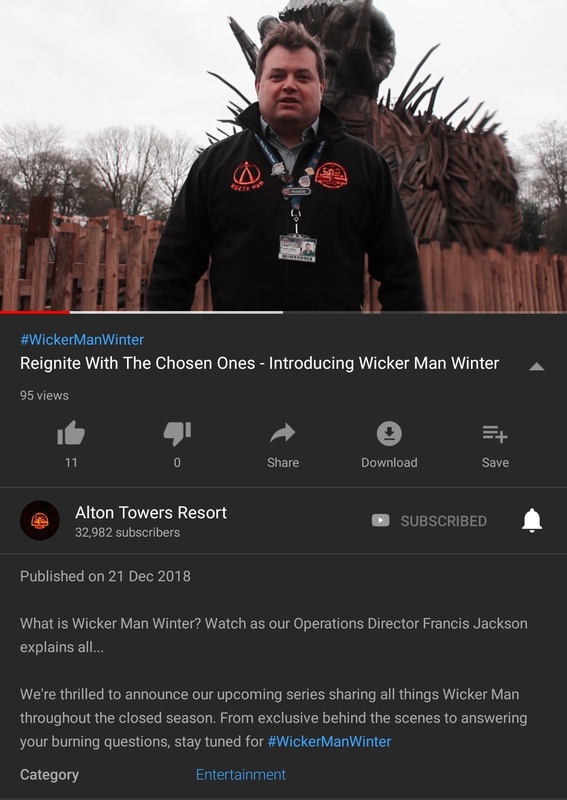 What do we all think - could we be seeing Wicker Man open in some form (possibly for hotel guests staying for a winter break), or is this just a tease for the Resort doing some form of behind the scenes feature on their social media over winter? Don't think it would just be for hotel guests if they are making a big deal out of it on social media. Wasn't there a post on a Merlin Annual Pass social media account a few weeks ago about "two extra months of Wicker Man" that got removed? If it was open over winter it would certainly tempt me to make an effort to make it over there , previously there's been nothing to make the trip that worthwhile. I'd love to visit over the winter to have more of a chilled day with friends. The opening weekend snow days this year were brilliant! Obviously the biggest variable in this happening is the weather, as we all saw how the park struggled over opening weekend. By the sounds of it, Wicker Winter will be a series of YouTube videos going into detail the behind the scenes of the ride. So it's been a year since Wicker Man was officially revealed to the public. 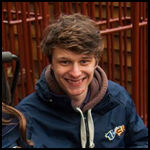 How do you feel the ride has performed being a year on and do you think its been the right decision by the park? 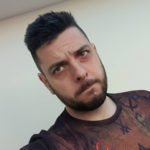 Last edited by DeadJack5 on Tue Jan 08, 2019 1:27 pm, edited 1 time in total. The park needed an additional solid, reliable, landmark ride and I think Wicker Man was the right choice. As much as an RMC would have been my choice, the ride appeals to a very wide audience and should age well, if they look after it. Wicker Man definitely bought some of the appeal back after a slow few years prior. I totally agree that Wicker Man was absolutely the right choice for the theme park. 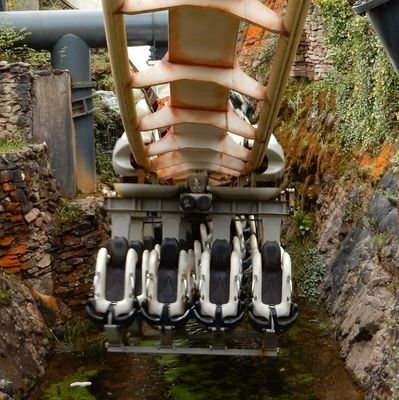 It's a solid ride which appeals to a wide audience, especially with it having the 1.2 metre height restriction as opposed to a 1.4 metre restriction. The ride really showcases what Merlin can do when they get things right - both in terms of the ride itself, but perhaps more importantly the themeing and story. We can only hope that we get something of a similar standard at Thorpe soon. Sure, the ride has a few technical issues to start with, but that is to be expected for any new ride, and as far as I'm aware the ride was operating through Scarefest with very few issues. 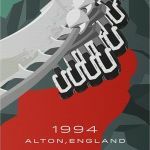 What we really need to hope now is that Alton take the momentum they have gained from Wicker Man's opening to help further boost visitor numbers and develop both the attraction offering and guest experience. I think this coming season is going to be key to see if the Resort's recovery can continue. They used the template from the Thorpe videos but they didn't pull it off as well. Still, it's good to see a little bit behind the scenes and also to reassure people that they take ride safety seriously. They were pretty vague about the work going on with Big Bob though, I hope that's covered in a future video! Are we expecting any changes to the ride before it reopens? I was expecting it to be a little longer than 45 seconds - but nice to see the park do this kind of thing regardless. I hope the guy who has to check all of those bolts doesn't have a bad back! Maybe it's a trailer for things to come? As for new things, I think the only thing that has been mentioned is the final tunnel as a possible development area. I'm guessing the work mentioned here was maintenance.